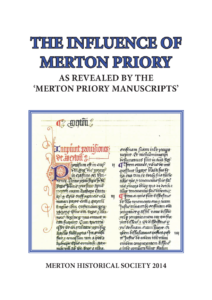 Richard Chellew’s talk at our April 2014 meeting has now been published under the title The Influence of Merton Priory. Richard, a Merton councillor, became intrigued with the priory when investigating the possibility of removing the electricity pylon that blights the area. Initial hopes to have the priory site recognised as a UNESCO World Heritage site proved unrealistic, so Richard turned his considerable talents to the surviving manuscripts belonging to, or connected with, the priory for possible inclusion in the UNESCO Memory of the World Register. There is a wealth of documents in a variety of archives – Richard has identified more than 50 manuscripts from just the first two centuries of the priory’s existence. These are being copied by Timothy Noad, a Herald Painter at the College of Arms in London and a Scribe to the Crown Office at the House of Lords, using vellum and inks matching the originals. They range from the famous Provisions of Merton of 1236, the first entry in the Statute Books, to brief notes recorded in the Patent Rolls and Close Rolls, such as the safe conduct issued from Merton in 1215 by King John allowing the barons’ representatives to meet his representatives prior to the meeting at Runnymede and the granting of Magna Carta; from entries in the priory’s own Annals to accounts by the eminent 13th-century chronicler Matthew Paris; from letters from popes and archbishops to a letter from one of the early canons of Merton. Ten of these superb facsimiles are reproduced in this booklet. But in addition to getting these documents copied, Richard has been investigating the story they tell. Why was Merton priory so influential? In this study Richard explores its reputation for piety, its roles as a training ground for saints and as a centre of learning, its political influence and its key role in helping to shape the English legal system. This booklet is illustrated by full-colour copies of the splendid facsimiles of the original documents specially prepared by a calligrapher from the College of Arms. an Augustinian foundation contemporary with Merton priory. is it that makes this priory so special? of over 50 manuscripts that tell an amazing story. Manuscripts’. It is these manuscripts that form the basis of this essay. standing in the magnificence of St Bartholomew’s priory in Smithfield. years separate their foundation charters. at a time when not even Oxford enjoyed university status. the archbishops, followed by bishops, abbots and priors. one of its greatest strengths. to be found in a letter from John Peckham, archbishop of Canterbury. relied upon to settle disputes between their superiors. Legal System – because that is the key to this study. were of the Augustinian order and are referred to as ‘canons regular’. connection between Merton’s learning and its influence at Canterbury. between 1123 and 1236, as will be observed below. church at St Lô in Normandy. Merton’s reputation went well beyond the jurisdiction of Canterbury. considering that the vast majority of Augustinian houses were priories. personal relationship the priory enjoyed with the office of Canterbury. was also very rapidly canonized after his death in 1240. The consecration of archbishop Edmund by Roger bishop of Salisbury. Peterhouse’s claim to be Cambridge’s first college is undisputed. of letters’, was no longer necessary and the practice ceased. the Provisions of Merton, England’s first statute. and he expressly prohibited scholars from taking religious vows. standards and opened the way for secular as well as religious learning. they enjoy to this very day. helping Oxford to establish itself as a university. 1121 charter of Henry I granting the vill of Merton to Merton priory. deeply rooted in these aspects of its life. A page from the Annals of Merton for 1213.
on an island in the Thames outside Kingston. A page from the Annals of Merton for 1217.
ask? After all, not even Canterbury had protected Becket. result that the mob returned to London without de Burgh. Nor was it just lords spiritual and temporal who came to Merton priory. ordered to pay 3,000 marks to help meet the king’s expenses abroad. wearing mitres) and, of course, Merton priory was extremely wealthy. Anglorum. Up to 1235, this is an illustrated edition of Roger of Wendover’s Flores Historiarum. John’s refusal to appoint Stephen Langton as archbishop of Canterbury. of church bells or playing of music. after his return, as we saw above. the benefits of which we reap to this very day. active role in supporting his return to England. very many countries throughout the world. defining the role of the jury. The Assize of Clarendon 1166. The Assize of Clarendon 1166.
roving judges, to travel from town to town dispensing the king’s justice. and Rich cast a much wider net. they were of one mind. act did more than anything else to secure for him the crown of England. to incorporating Canon Law into the law of England. bring about a very different meaning. except by the lawful judgment of his peers and by the law of the land. have understood, or indeed cared about, its greater meaning. widows whilst three others deal with those of minors. statute the supremacy of Common Law. only two years earlier, would have been confident of Lincoln’s success. Canon Law into English law, and hence Common Law prevailed. Law and, of course, the Inquisition. ‘Nov 4 Westminster: To Henry de Cobeham, keeper of the late Templars’ lands in the county of Surrey. to England to examine those Templars who were accused of heresy. Earls and Barons, as of the King himself and others. Seisin of their Dower, &c. and the Deforcers nevertheless shall be amerced at the King’s Pleasure. of the Fee, all such Services as be due for their Dowers and other Tenements. after by the first Deforceors, against whom they have recovered any wise by Enquest. their Profit of the residue, and go quit of that Assise. Usury that was before the Death of his Ancestor, whose Heir he is, shall not remain. may consent, and do consent to such Marriage, no Pain shall follow. to the Lord of the Fee. vIII Limitation of Writs. Writ of Right. Writs of Mortdauncestor, &c. Writs of Novel disseisin. Time aforesaid, and all Writs purchased before shall proceed. they would not change the Laws of the Realm, which hitherto have been used and approved. to do those Suits for him. the King denied; wherefore it was deferred. Parliament, even though that term was not used until ten months later. derives from the Provisions of Merton. words parliament had now taken firm control in determining the law. longer the sole right of the monarch. in repeating myself – over three billion people throughout the world. of Merton certainly fulfilled both criteria. franchise now went beyond the monarch’s ‘appointed advisers’. and to the various archives for allowing their original documents to be copied. 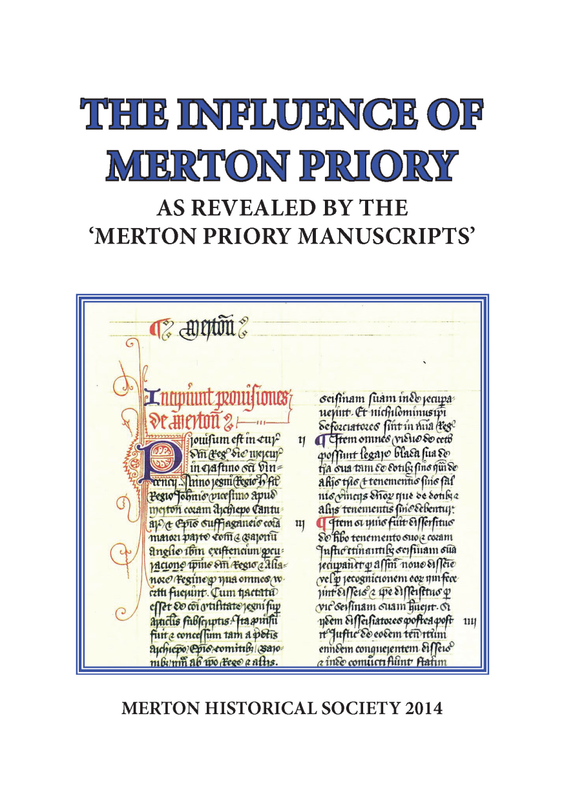 This entry was posted in Publications, Booklets, Publications and tagged in merton priory.